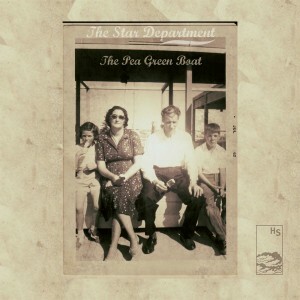 Ahead of its release later this week, the wonderful Crackling Vinyl blog is premiering the brand new single from The Star Department. ‘This Ship Won’t Sail’ is a sublime slice of melancholic atmos-pop that opens the door to the bands debut album The Pea Green Boat (mixed by Tom McFall (Bloc Party, REM, Stars, Weezer) out July 7th. Head to Crackling Vinyl now to soak in the goodness and read more about The Star Department here.